Mr. Heminger is chairman of the board and chief executive officer of Marathon Petroleum Corporation. He is chairman of the board and chief executive officer of MPLX GP LLC. Mr. Heminger joined Marathon in 1975. His more than 40 years with Marathon include experience in a variety of groups and functions. In addition to five years in various financial and administrative roles, he spent three years in London, United Kingdom, as audit supervisor of the Brae Project. He worked with Emro Marketing, the predecessor of Speedway, for eight years in several marketing and commercial roles. In 1991, Mr. Heminger was named vice president of Emro Marketing's Western Division. From 1995 to 1996, he served as president of Marathon Pipe Line Company. He assumed the position of manager, Business Development and Joint Interest of Marathon Oil Company in November 1996. Mr. Heminger was named vice president of Business Development for Marathon Ashland Petroleum upon its formation in January 1998, and was named senior vice president, Business Development in 1999. In January 2001, he was named executive vice president, Supply, Transportation and Marketing. Mr. Heminger was appointed president of Marathon Petroleum Company LLC, a wholly owned subsidiary of Marathon, in September 2001. 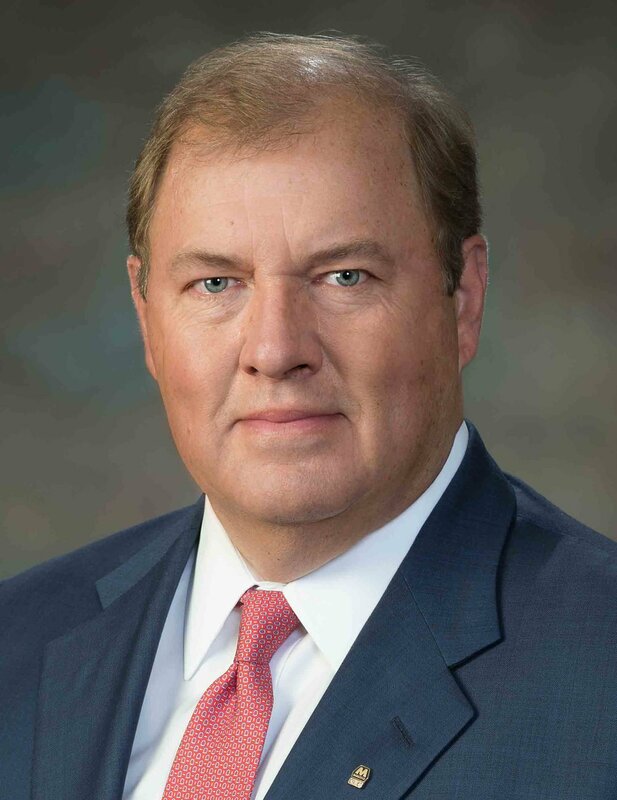 In addition, he was named executive vice president – Downstream of Marathon Oil Corporation and served as a member of Marathon’s Executive Committee. He was named president and chief executive officer of Marathon Petroleum Corporation on July 1, 2011, and chairman of the board in 2016. Mr. Heminger is past-chairman of the board of trustees of Tiffin University. He serves on the boards of directors and executive committees of the American Petroleum Institute (API) and American Fuel & Petrochemicals Manufacturers Association (AFPM). He also serves on the boards of directors of Fifth Third Bancorp, PPG Industries, Inc. and JobsOhio. Mr. Heminger is a member of the Board of Trustees of The Ohio State University and a member of the Oxford Institute for Energy Studies.